Kranjska Gora is Slovenia's premier ski resort. It's located at an altitude of just over 800 metres, with its highest ski point of 1291 metres. The resort is located not far from the Austrian and Italian boarders. Dominated by the majestic Julian Alps, this attractive mountain village is backed with more than 60 years of skiing tradition. 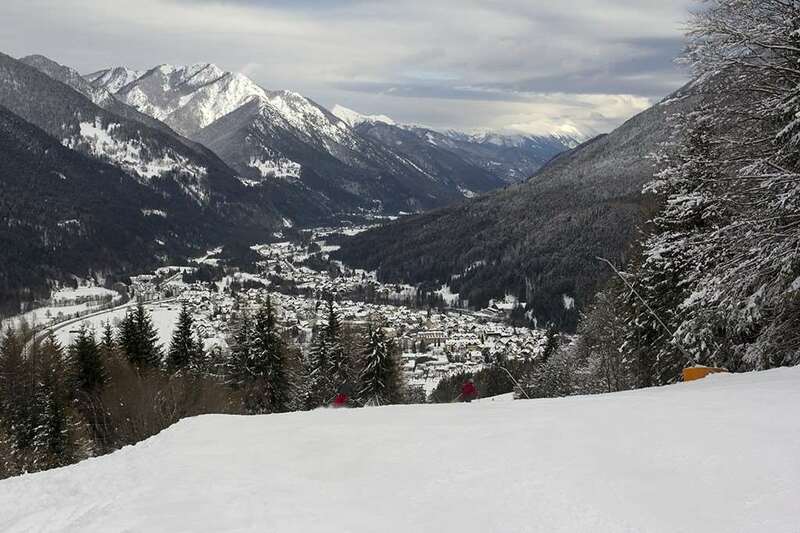 Ski holidays in Kranjska Gora offer a great number of varied runs, and gives you great value for money. The mostly northeast facing slopes of the Vitranc Mountain are where skiing usually takes place. There are 30km of mainly intermediate slopes. Most of these pistes are broad glides cut through trees, but there are also some gentle and more open lower slopes for the less experienced skiers. 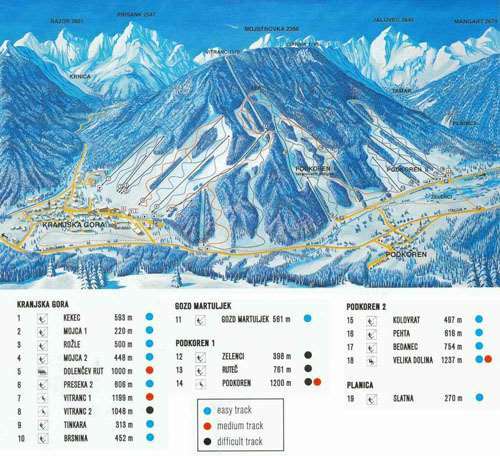 There are also a number of more challenging runs that are suitable for the more advanced skiers. The total number of lifts is 22, with few queues. Unfortunately, the number of mountain restaurants is low, but most people have their lunches in the village. There is a good selection of bars and discos for ski holidays in Kranjska Gora in Austrian-style après-ski. Kranjska Gora has got a beautiful scenery, and there are good off-slope diversions and excursions. We went to Kranjska Gora last year with our family for a weeks skiing. The hotels were great, the people were very friendly. Our skiing varied from beginner to advance including a snowboarder. We all had a great time and we will be returning next year. The ski hire, lift passes and tuition was cheap compared to France.